Healthy and growing congregations do not happen by accident. They are marked by clear focus on their identity, purpose and vitality—focus that lets them set and meet goals for their mission and ministry. Identity, purpose and vitality are qualities, not quantities. Yet each year, most of our congregational reporting focuses on quantities like membership, attendance, offerings and the like. While these are important measurements for tracking the past, they aren’t helpful for plotting the future. Beginning next year, the annual ELCA parochial reports will include the attached list of 17 questions to help congregations measure qualities like vitality and sustainability, and focus their identity and purpose. In keeping with the Synod’s Strategic Vision and Mission Plan, we challenge you as congregational leaders to transform these questions into an opportunity for conversation and mission planning, rather than simply another form for the pastor or administrative assistant to hastily submit at the deadline. Have the pastor and each council member complete the Quick Check individually and candidly. Make as many copies of the attached form as needed. Schedule 15 minutes at a council meeting BEFORE your annual congregational meeting to discuss individual answers as a group. Average the individual vitality and sustainability scores to create a better picture of where your leadership believes your congregation is. The combined average will be the numbers you submit on your parochial report. Present the congregational leadership’s results at your annual meeting. Include time for discussion. Encourage congregational members to take the assessment following the annual meeting. Begin working with your newly elected council leadership on identifying and implementing specific goals for the coming year based on the strengths and growing areas identified in the Quick Check. Look for opportunities across the Synod in 2016 to attend trainings in person or via webinars for goal setting and planning. Contact our Directors for Evangelical Mission if you have further questions. Encourage honest, realistic reporting. 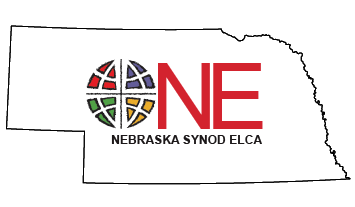 Only the Nebraska Synod’s Director for Evangelical Mission and your congregation will have access to your congregation’s vitality and sustainability report to the ELCA. No other congregation will see your responses. We believe this is a simple, clear and valuable tool for promoting growth in every congregation of our Synod. We are looking forward to its impact, and to the release of additional resources in the months to come. CongregationalVitalitySurvey.com – This site is the home of the Quick Check assessment tool and other resources offered by its developers. 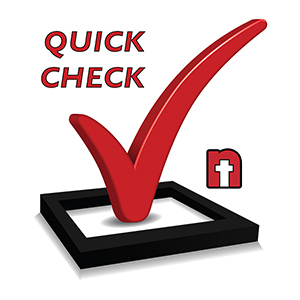 The resources include a downloadable discussion guide and access to an online version of the Quick Check.